A master at the uneven bars, Marcia Frederick-Blanchette’s career was short. When she started out, she told then-coach Leo Leger she wanted to be the best in the world. 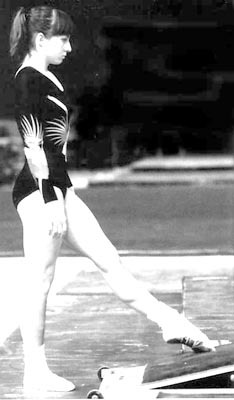 In 1980, her world championship on the uneven bars cemented her dream and hours of rigorous training. That year, she made her only Olympic team, but her chances were eliminated upon the U.S. boycott of the Moscow Games that year. The boycott ended her nine-year career, but not before becoming the first American woman to win a world championship title.